The head professional and lead coach for many years as well as a member of the PGA for 25 years. Darryl is a fully qualified member of the PGA with an excellent reputation for his coaching. 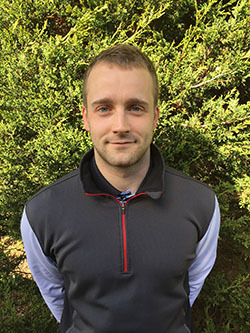 He has been the head assistant professional at Burnham Beeches Golf Club for a number of years with all of the responsibility that comes with a demanding role at one of the most prestigious clubs in the area. Whilst developing his skills as a coach he has taught golfers of all standards, developing long term relationships that demonstrate his ability to improve their technique and understand what is needed for long term, sustainable change. Developing Junior programs has been a cornerstone of Darryl's teaching during his career thus far. We are looking forward to incorporating his ideas over the coming seasons starting with our popular junior roll ups which will evolve in to a more structured Junior development plan, leading on to establishing the next generation of young golfers. Like any forward thinking golf professional with an eye on a full time career as a coach, Darryl has attended various seminars and courses to fully embrace the very latest coaching ideas as well as using the modern technology at our disposal to further enhance your experience as a pupil of our academy. Please feel free to contact Darryl with any questions you may have or to book a coaching session.